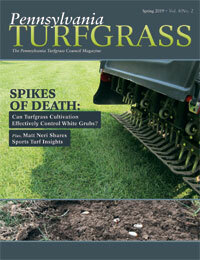 This issue features turfgrass cultivation for white grub control. Also includes sports turf insights from Matt Neri and more! What is the resource you most-often use to help you identify turfgrass diseases? The Turf Zone is your online destination for all things turf related. Created for the industry by those who know the industry, The Turf Zone is your central information and news hub, bringing together professionals from turf associations across multiple states to share things to help you in your business—from up-to-the-minute research on turfgrass products, to trends, initiatives and techniques. Each month, The Turf Zone will feature podcasts, articles, an events calendar, product spotlights and more. It’s everything you need, all just one click away. Get on-demand access to information that is driving sales, quality and growth across the industry. About the latest industry news, podcasts, events and more! Your Hub For All Things Turf.